Montreal, May 26, 2014—Effigis Geo-Solutions Inc., leader in the distribution of Earth observation images, is pleased to announce that the very-high-resolution constellation Pléiades is now NMSO approved for the purchase of satellite images for the Government of Canada. Since the Pléiades satellite images now meet the guidelines of the Canadian government regarding price and compliance, this agreement also simplifies the purchasing process and reduces supply lead times. Indeed, since the ordering processes are preauthorized and the prices pre-set, Effigis can now fill requests with maximum efficiency at a lower cost. This agreement also facilitates the use and sharing of Pléiades data between the different federal departments since they comply with government standards. It also offers the government the possibility to purchase image treatment products and services at pre-set prices (orthorectification, mosaic, DSM, DTM) using licences specifically adapted to their needs, bringing unparalleled added value. 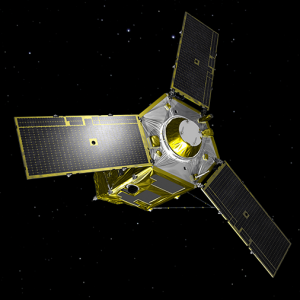 In orbit at nearly 700 km above the earth since their launch in December 2011 and 2012, the Earth observation satellites Pléiades 1A and 1B can produce Earth surface images with a resolution of 50 cm, which positions them among the best performing sources of very high spatial resolution in the world for satellite imagery. With their unparalleled precision and quality, they can be used to view landscapes in 3D and to extract many different types of useful information in various fields, whether land-use knowledge and management, natural resource management or infrastructure monitoring. As well, they can be used to support emergency operations during natural disasters or catastrophes as we saw happen in Lac-Mégantic, Quebec, in July 2013, for which a series of Pléiades images were captured on a weekly basis to guide the field interventions. Effigis is a fast-growing Quebec company that has been located in Montreal for more than 20 years. Drawing on the expertise of its resources, it designs, develops and executes novel geospatial solutions (Earth observation services, infrastructure inventory, telecommunications network monitoring, GNSS software, geological studies) aimed at improving its customers’ business processes. A commercial partner with the world’s largest satellite imaging distribution networks, Effigis provides its customers with access to a vast selection of commercial Earth observation satellites. It serves a variety of sectors, including public administration, aeronautics, agriculture, environment, forestry, consulting engineering, mining, oil and gas, public utilities and telecommunications.